As mentioned in my previous post, my family came into Boston for a visit last month. What’s the best part of visitors in Boston? A chance to do all the touristy sites your friends are embarrassed to do. Honestly, as a Boston transplant, I do touristy-destination and sight-seeing activities all the time (I know it’s hard to tell with my blog and all). However, it’s especially difficult to get a partner in crime (or two) to visit these places after a while – and sometimes you just feel bad asking. So, what are some of the touristy things that my family and I did? The tour I took with my family was the first time I had taken the full tour – as I had only taken an abbreviated version before this. I often recommend Duck Tours to people from out of town, as a way to get an overview of the history of the City, get a sampling of the historical sites and be have a bit of fun. If you don’t already know, the Duck Tour drivers are a hoot. Each has a “persona” and I was lucky enough to be on Disco Dan’s boat (he had fish in his platform shoes). The tour also takes you on land and through the Charles River. It’s just a cool way to see Boston. If you want a more engaging experience, download the new iPhone app that goes with the tour. You can follow along with the tour, and get facts of the different areas you drive by. All in all, my family really enjoyed the tour – and because of it my family requested that we make a visit to the U.S.S. Constitution. Quack, quack. I really don’t know how the Freedom Trail was created but it’s a really interesting concept. The top 10 or so historical sites in and around downtown Boston are mapped out and connected by a red line that runs between them. Literally, there is a red line running through the streets and on the sidewalk. 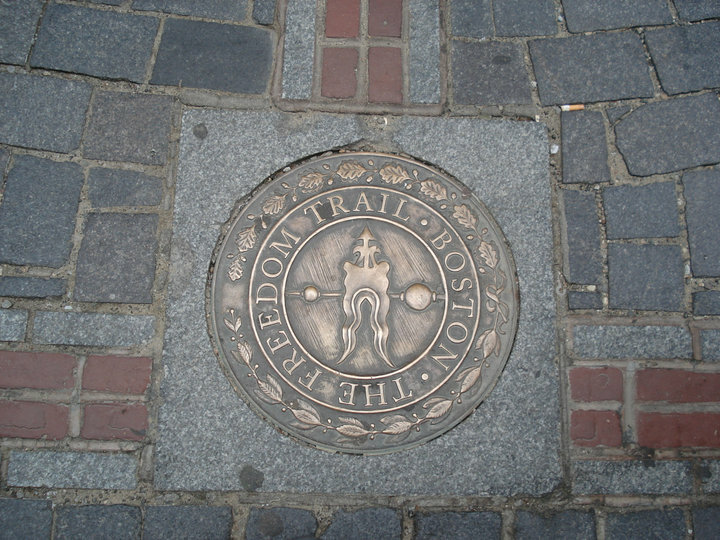 For a City where the streets don’t run on grids, the Freedom Trail is insanely helpful. I have lived here over a year, and I don’t think that even with my smartphone, I would have been able to direct my family to the different sites without the line. On top of that, the sites on the Trail have a very rich history. Ben Franklin’s family is buried at one location. You can see where Paul Revere lived. Or how about a visit to Old Iron Sides? Done. The Freedom Trail gives you a chance to follow history and get a real taste of the founding of America. If you’re feeling really lively, you can take a walking tour with a guide that dresses in full colonial garb. Yes, I said garb. If you’re a visitor, or a resident that hasn’t experience either of these things, I’d definitely recommend it! 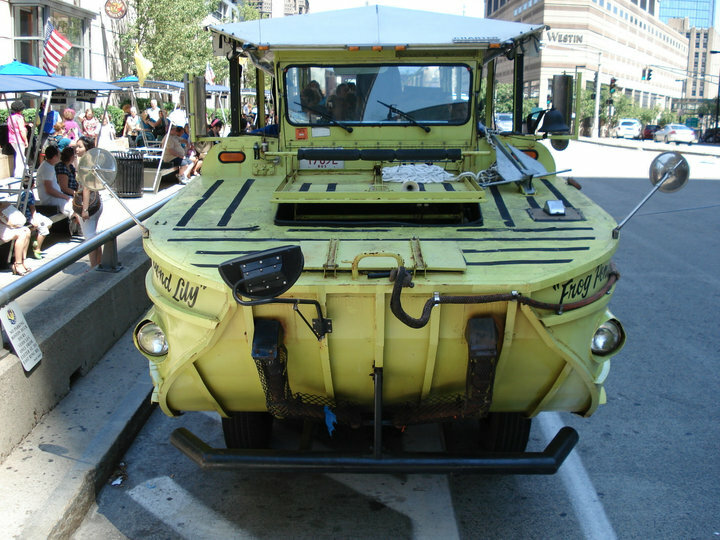 Duck Tours take about 90 minutes, and the Freedom Trail can take up a full day. Just don’t forget your walking shoes. Extra shout out to my friend Kim for letting me use her photos in my post! This entry was posted on Tuesday, August 16th, 2011 at 2:31 am	and tagged with Activities, Boston, Duck Tours, Freedom Trail, Tourist, Visitor and posted in Activity. You can follow any responses to this entry through the RSS 2.0 feed. « Chowderfest…Need I Say More?